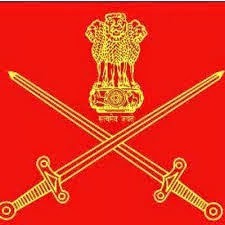 Indian Territorial Army Recruitment 2015: The Indian Army has declared the Indian Territorial Army Recruitment 2015 for the 1500 rally soldier and various posts. These vacancies for the Tradesman and other vacancies post are available in the Jammu and Kashmir. Eligible candidates go to check the official site indianarmy.nic.in and then download the application to fill the application form. This recruitment rally that will be held from 27-05-2015 to 09-06-2015 at the various army grounds in the state of Jammu and Kashmir. The candidates who are interest to search the Defence jobs in India and they can apply for this recruitment. The candidates should be completed the 10th class or Matriculation. Candidate's age must be between 18 to 42 years. In case of Ex- service candidates maximum age 48 years. The selection of the candidate's based on the trade test, Physical ability, Medical fitness and interview. Carry the filled application for the recruitment process.